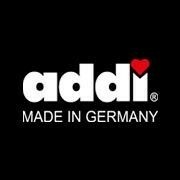 This is original ADDI product from Germany. The addiClick system for lace knitting needles that have long tips. 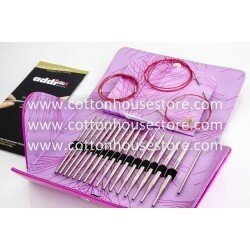 The set consists of 8 pairs of addi needles (Ø 3.5 - 8 mm), 3 addi SOS red cords (60 cm, 80 cm and 100 cm), 1 coupling, 1 addi gold brooch.